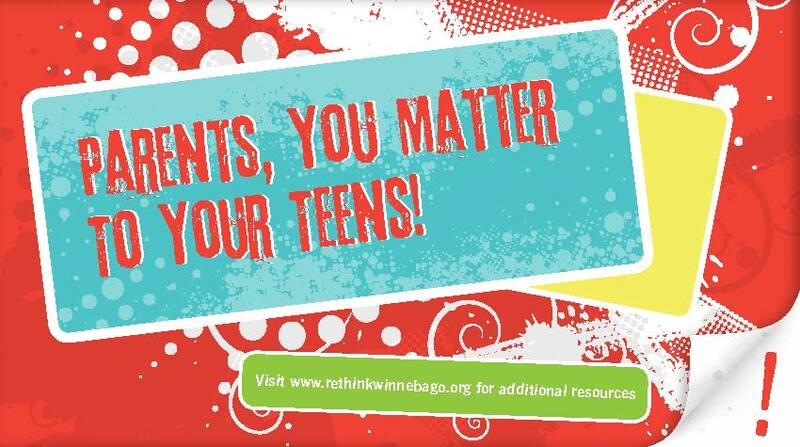 The purpose of the re:TH!NK staggered handout is to support parents by providing them with information, resources and solutions regarding various issues that impact teens. Local data from the 2012 Youth Risk Behavior Survey (YRBS) from both private and public middle and high school students within Winnebago County is incorporated into the “What local Teens Say” included in each section of the handout. Each teen issue also includes a section that addresses “3 Things You Can Do NOW!” that parents can use to positively impact their teens.